All Pacific City homes currently listed for sale in Pacific City as of 04/23/2019 are shown below. You can change the search criteria at any time by pressing the 'Change Search' button below. If you have any questions or you would like more information about any Pacific City homes for sale or other Pacific City real estate, please contact us and one of our knowledgeable Pacific City REALTORS® would be pleased to assist you. "BRING ALL OFFERS!!! MOTIVATED SELLERS! !Impressive view of the Bay from the wrap around deck off the custom kitchen. Builders personal home, filled with hand hued logs. STUNNING hard wood floors & relaxing fire place. Possible dual living quarters down stairs which is fully finished. Peaceful setting tucked back in the trees with a large heated Shop. Green house & Garden area. Two tool/storage sheds.call 503-586-4951"
"Beachfront Pacific City vacation home in gated Kiwanda Shores. There is direct beach access out the back door from the fun, sheltered lower deck. Accommodates 10 guests in 3 bedrooms and 3 full baths with front-row views from upstairs family room. Upstairs viewing deck is the perfect sunny PC spot in the summer! Popular vacation rental, the ''Wavecatcher'' has fantastic reliable rental income and loyal renters. Lots of recent upgrades." "Here's your little slice of heaven at the Oregon Coast. With 4 bedrooms & 2.5 baths, there is room for family & friends to make memories at the beach. The quiet little hamlet of Tierra Del Mar has miles of sandy beach to explore & enjoy year round. 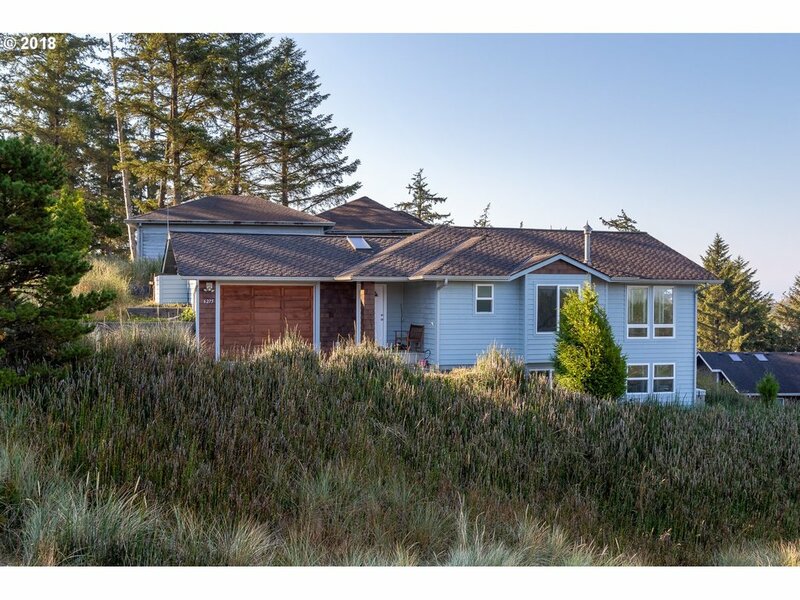 With epic views of Cape Kiwanda & Cape Lookout from bdrms, deck, living rm & kitchen, you will be inspired to adventure out in surrounding areas like Sitka Sedge, Whalen Island, Nestucca Bay." "Rare ocean front parcel so close to Bob Straub State Park and the Little Nestucca River boat launch. House has a low end value but the property has been developed with a great building site, ingress/egress electric on site, city water and sewer. Beautiful breath taking views from this land located on Pacific Cites long beach that stretches from the river mouth to Cape Kiwanda. Ready for a revamp or your dream home. Best kind of Beach f"
"Extraordinary finishes throughout include slate flooring, concrete kitchen counters, stainless steel appliances, stone fireplace, tongue & groove vaulted ceiling. 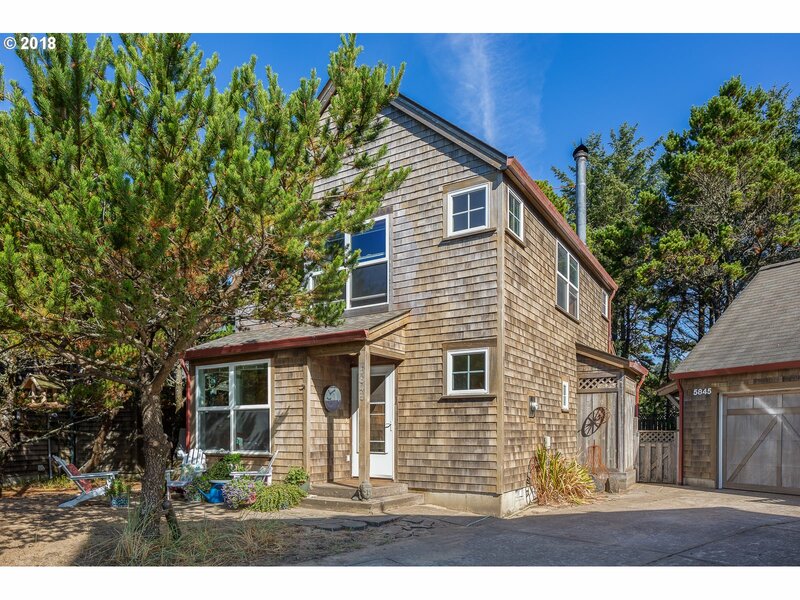 Bonus room on third floor has an ocean view, spacious decks, hot tub, green space behind adds privacy, watch the deer, beach access 1 block, has an excellent rental history. House comes fully furnished with charming beach themed decor. - replacing some windows on order"
"180 degree panoramic views of the Ocean, River and Haystack Rock. This home makes a great vacation rental with 4 bedrooms and 4 baths! 2 master suites. The open living concept is highlighted with a wall of windows to take in the amazing views. Hang out on the front balcony to soak in the sunsets. Gorgeous kitchen w/granite counter tops and SS appliances. The large center island with built in sink makes a great area for hanging out." "Spacious open living, kitchen & dining area is great for entertaining. New laminate Maple floor in dining & kitchen. Granite kitchen counters & granite sink. Granite counters, new sinks and tile floors in all baths. The possibilities are endless for ways to enjoy the huge bonus room with wet bar. Deck, outdoor shower, fenced back yard & ample parking. About a 5 minute walk to the beach! Seller is State of Oregon real estate licensee." 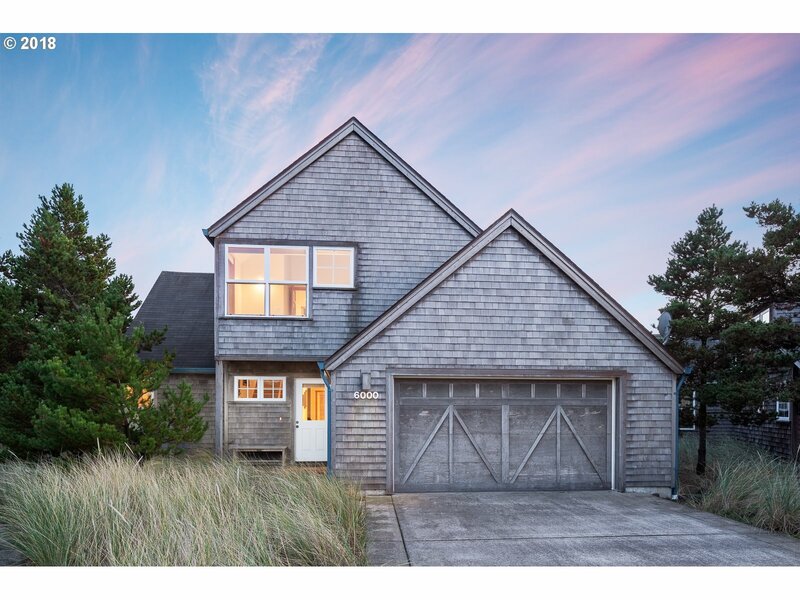 "Sophisticated home with ocean, Haystack Rock & Cape Kiwanda views offered turn-key! Gorgeous finishes throughout, include Travertine tile flooring, granite counters & generous woodwork. Wall of windows to views & stacked-stone gas fireplace on each level. Spacious family room with a wet bar is perfect for entertaining. Ocean view deck & wind-protected patio. Extra-deep double garage with half bath. Less than 10 minute walk to the beach!" "Live the dream at the beach in this bright & sunny home with ocean views! Inviting living, kitchen & dining area opens to large ocean view deck. Bamboo floors, granite kitchen counters & master bedroom on main level. Large ocean view deck & patio with a hot tub to enjoy spectacular sunsets & star gazing. Offered turn-key for immediate enjoyment or someone looking for a vacation rental opportunity. Less than 10 minute walk to the beach!" "Are you looking for sand in your toes and making memories at the beach? This beach house is for you! This turnkey 2 bedroom + loft offers an open living floor plan, fireplace, custom built-ins, Trex deck, easy beach access right out your front or back door, owner clubhouse. Location, location, location, it doesn't get any better than this! Currently established vacation rental!" 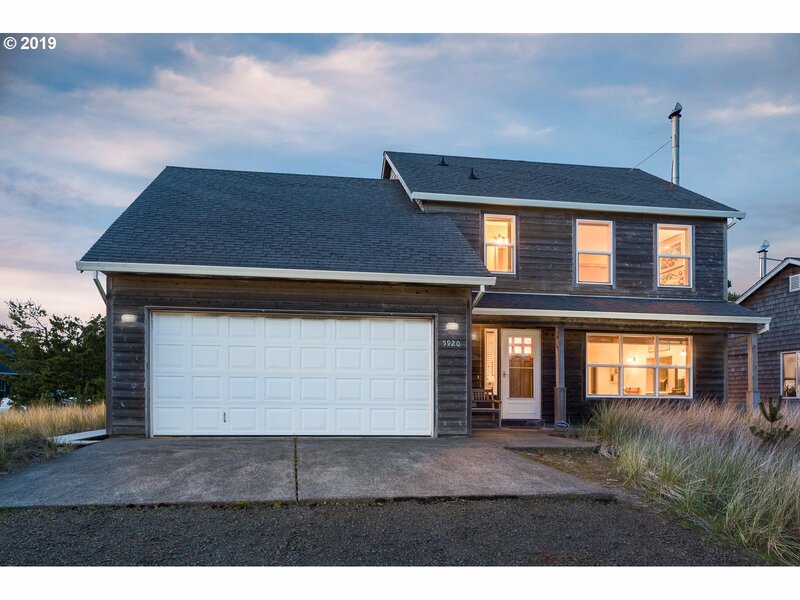 "A TRUE CONTEMPORARY HOME ON THE OREGON COAST ARCHITECTURALLY DESIGNED AND BUILT. 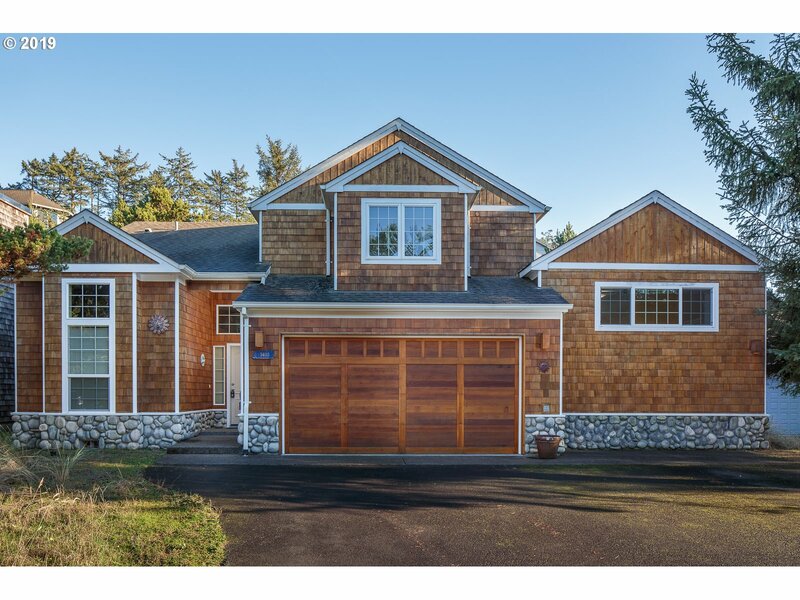 This Chris Anderson home is sure to impress with its open floor plan, stone and wood finishes, versatile lighting, large wrap-around deck and jaw dropping modern wood panel vaulted ceiling. Upgraded with brand new appliances, all new extensive custom closet systems as well as newly replaced gas fireplace and chimney. Just a block to miles of sandy beach." 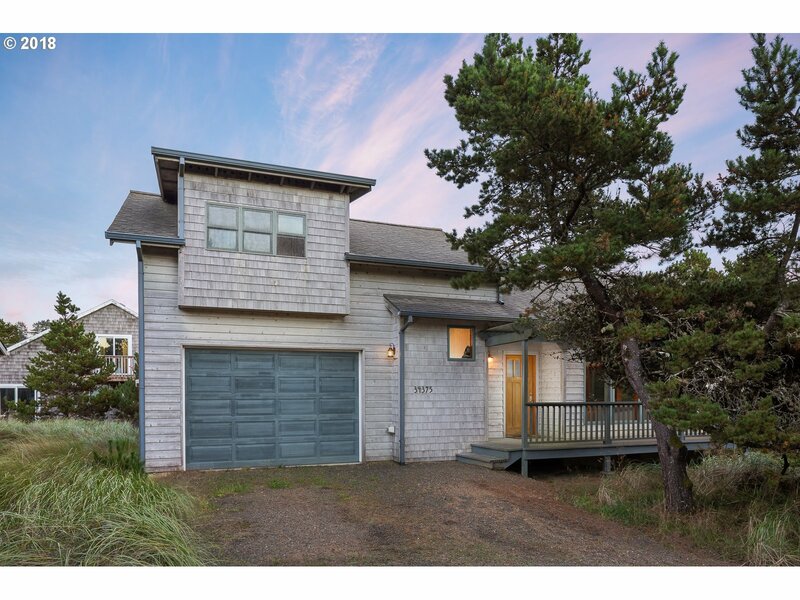 "Spacious custom home with ocean and Haystack Rock views offered move-in ready. Sunny open living area features vaulted wood ceiling, beautiful river rock fireplace and large ocean view deck. Perfect for gathering, entertaining and enjoying stunning sunsets! Separate living area on second level with a deck. Many recent updates inside and out. Less than a 10 minute walk to the beach, river, dining, pub and market at popular Cape Kiwanda!" 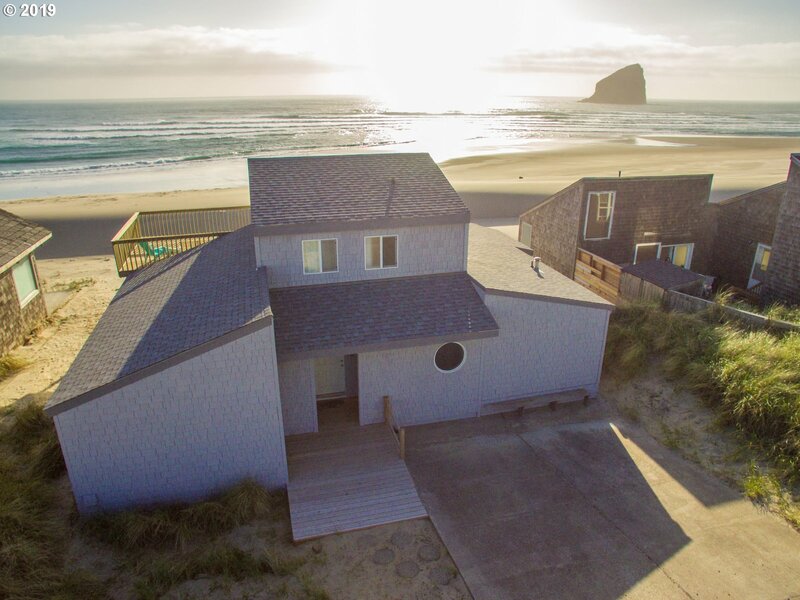 "This could be your beach home located in desirable Dory Pointe in Pacific City, Close to the beach, Cape Kiwanda, Pelican Brewing Company, Restaurants and Coffee Shop and Great surfing too! Fenced in yard for outdoor entertaining. Beautifully furnished turn key home. Enjoy family retreats as well as continue as a vacation rental property. Rental history available." "Are you looking for the perfect beach home? This one is for you! Short walk to the beach and amenities of beautiful Pacific City. 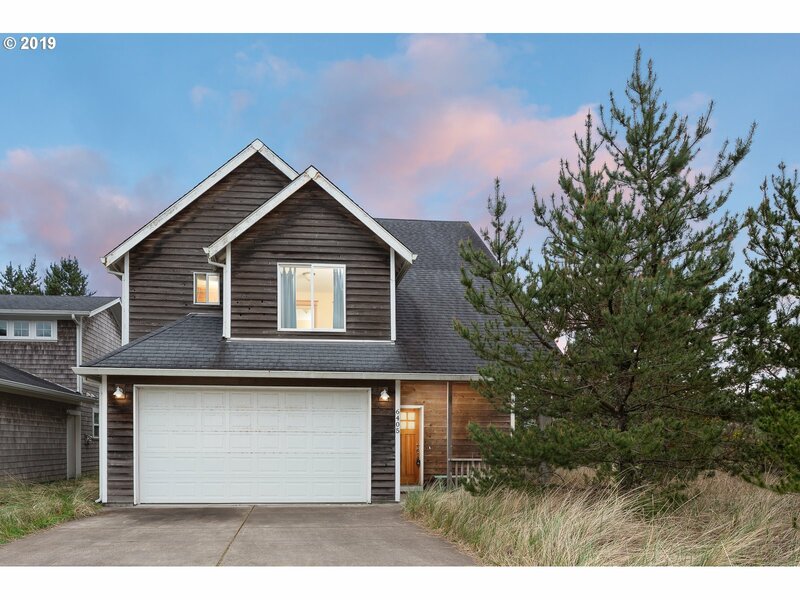 This well maintained home in the desirable gated community of Kiwanda Shores, highlights an open concept floor plan, perfect media/bonus room, large utility room and over-sized lot that is full of possibilities! Make this your beach retreat, forever home, or vacation rental. You will be Beach Happy here." "Kick off your shoes and stay awhile in this cozy beach home! Great open floor plan with many amenities including wrap around deck with hot tub and covered deck area, Attractive vaulted ceilings, fireplace, and custom wood and tile work throughout. Three master suites with one located on main level. Turn key property ready to enjoy. Take a short walk on paved pathways to miles of sandy beach. Owner clubhouse, including gathering room, po"
"Desirable Dory Pointe home about 500' from beach! Tile countrs,slate flrs,island, s/s aplnc,b-in dning rm cabinets,3 bed,2.5 bath,deck,cvrd deck,patio,peek-a-boo ocean view.Security system & lights off/on via phone app. mile to Pelican Pub & beach for Pacific City's famous dory fleet. mile to PC's center for dining,shopping&services.Kayak,boat or fish Nestucca Bay&Rvr, beachcomb or surf PC's beach! And wait until you see the sunset!" "Open living floor plan with Master suite on the main floor. Large loft has a huge closet which could be appreciated as a home office or owner storage room if used as a vacation rental. Nearly new kitchen appliances and a new roof in 2017. Decks to the East & West for outdoor living enjoyment. Offered fully furnished for your immediate use or a turn-key vacation rental opportunity. Beach access is just a few minute walk away!" "Total custom remodel. Lives much larger than the actual square footage. All high end product on interior, and the outside living is awesome. Home flows from interior to exterior for the best way to enjoy your family time, beach time, river time, tons of fun! Home comes furnished, with many extras to make this a turn key home!" "Great location close to the beach that is in the process of being remodeled. Owner is a skilled woodworker and the floors and staircase are examples of the artistry in this home. Owner says AS IS on the sale. Lots of parking plus carport. Close to the famous Pelican Pub and Brewery, Cape Kiwanda Beach, Shopping and Restaurants. Need to see to appreciate. Come take a look!" "Enjoy beach life in beautiful Shorepine Village in Pacific City! Paved pathways lead to miles of sandy beach.Owner Clubhouse features state-of-the-art fitness room. Lovely 3 Bed / 2.5 Bath town home has not been a vacation rental, but do very well as a rental property. Backs onto green space for privacy." "Cute downtown Pacific City charmer on almost a 1/4 acre! Purchase of this home includes neighboring tax lot, zoned R-3. This adorable Cottage lives large with a well thought out floor plan and great flow. Enjoy summer bonfire and s'mores gatherings. Amazing walkability to galleries, library and the Grateful Bread. Offered turn key!" "Charming Coastal Cottage with elegant updates! Neighborhood features miles of walking trails, wetlands, covered bridges & clubhouse. High end stainless steel appliances,quartz counter top & back splash with waterfall edge.Perennial garden completely fenced surrounding back patio and perfect for entertaining! Hot tub with waterfall feature. 2 bedrooms 2 full baths plus sitting area. Open concept on main floor with wood burning fireplace." "This lovely vacation town home in Pacific City provides an easy, comfortable and relaxing escape to the beach. Perfect layout with 3 bedrooms and 2.5 baths, an open kitchen, nice appliances, cozy gas fireplace and a back patio for BBQ! Located in the beachfront neighborhood of Shorepine Village, there are paved walking paths to a deeded beach access and a community clubhouse with fitness room. 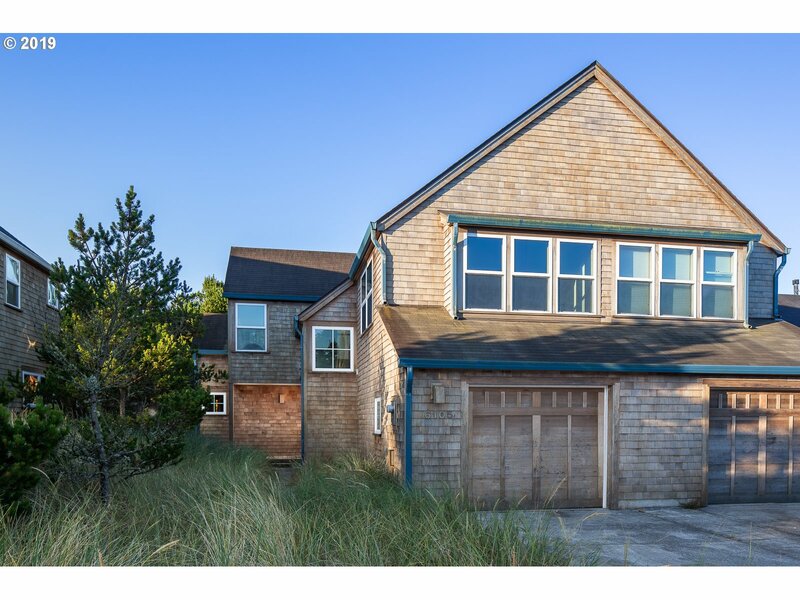 This home is currently a successful vacatio"
"Enjoy beach life in heart of Pacific City! 4 bedroom, 3 bath home being offered turn-key. The living room features a cozy, stacked-stone, wood burning fireplace and vaulted ceilings. The kitchen is bright and has updated stainless steel appliances. Plenty of room for friends and family and a nice sized garage for your boat or beach toys. Just a short jaunt to the beach, Pelican Pub, Cape Kiwanda and shopping! Come see this one before it"